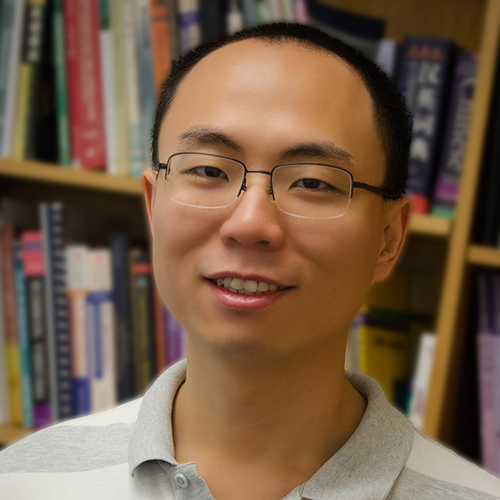 Prior to joining the NC State faculty, Xu Xu started his career as a postdoctoral research fellow in the School of Public Health at Harvard University. From there he became a research scientist in Liberty Mutual Research Institute for Safety where he received best-paper and outstanding scientific contribution award multiple times. His research interests are generally in the areas of biomechanical modeling, optimization, simulation and data mining with respect to human daily activities to promote workplace and at-home injury prevention and driving safety. Xu has published more than 40 journal articles on the aforementioned research topics. He has also served as a research advisor for three postdoctoral research fellows. Human factors and ergonomics engineering, occupational biomechanics, optimization-based biomechanical modelling, data mining on human motion data, occupational musculoskeletal injury prevention. Chang, W. R., & Xu, X. (2018), Applied Ergonomics, 66, 32–40. Yu, D., Xu, X., & Lin, J. H. (2018), International Journal of Industrial Ergonomics, 64, 226–234. Lin, J. H., Kirlik, A., & Xu, X. (2018), Applied Ergonomics, 66, 179–181. Mehrizi, R., Peng, X., Xu, X., Zhang, S. T., Metaxas, D., & Li, K. (2018), Journal of Biomechanics, 69, 40–46. Mehrizi, R., Xu, X., Zhang, S. T., Pavlovic, V., Metaxas, D., & Li, K. (2017), Applied Ergonomics, 65, 541–550.